Copper futures traded at the highest level since June on Monday and are now showing classic accumulation getting ready for an upward breakout. 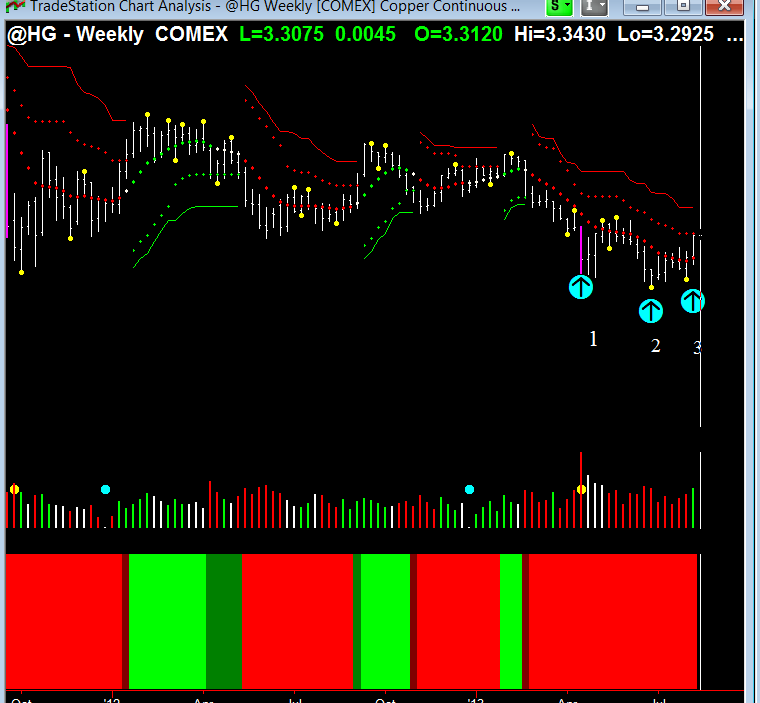 At point 1 there is a wide bar down shown in magenta on the price indicating above average volume shown as the yellow dot on the Hawkeye Volume indicator below. 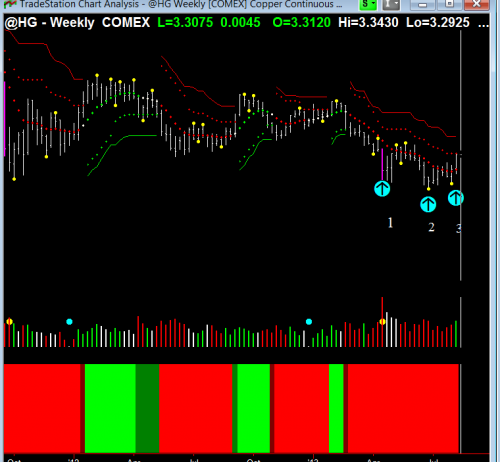 The market then continues down but at point 2 goes sideways into congestion. The yellow dot below the price at point 2 is a Hawkeye pivot which acts as support and to push the market up. At point 3 a second pivot occurs which is higher than the previous pivot (point 2). This is a strong sign of strength. Also note, green buying volume came in showing for that week there was buying volume — all confirming a potential breakout. This clearly shows buying has commenced and is in an uptrend. 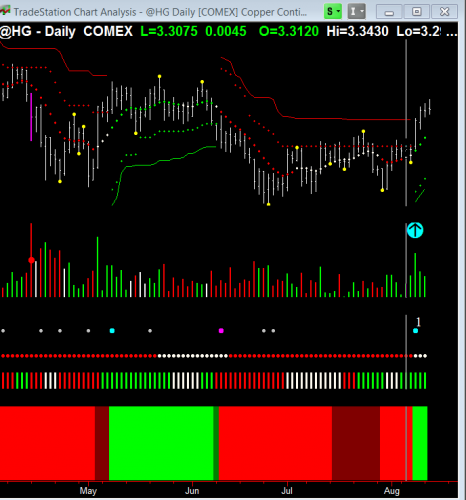 At point 1 the Hawkeye Roadkill indicator, which I have set to three days, places a cyan dot indicating a trade entry and the Hawkeye Heatmap indicator has turned bright green indicating all trend speeds are positive. Be patient until the weekly chart goes long which should be at this week’s end if this rally is confirmed.